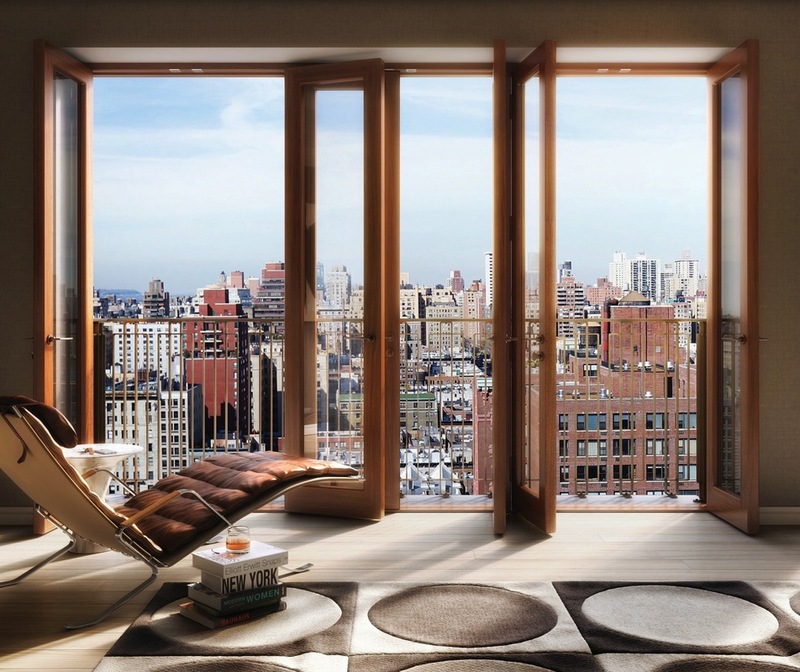 Two Ten West 77 in the Upper West Side is a classic beauty. Developed by Naftali Group and designed by Thomas Juul-Hansen, the new building has just 25 condominiums spread across 18 floors. The facade features cascading set-back terraces in handmade textured Danish brick, permitting plenty of private outdoor space. 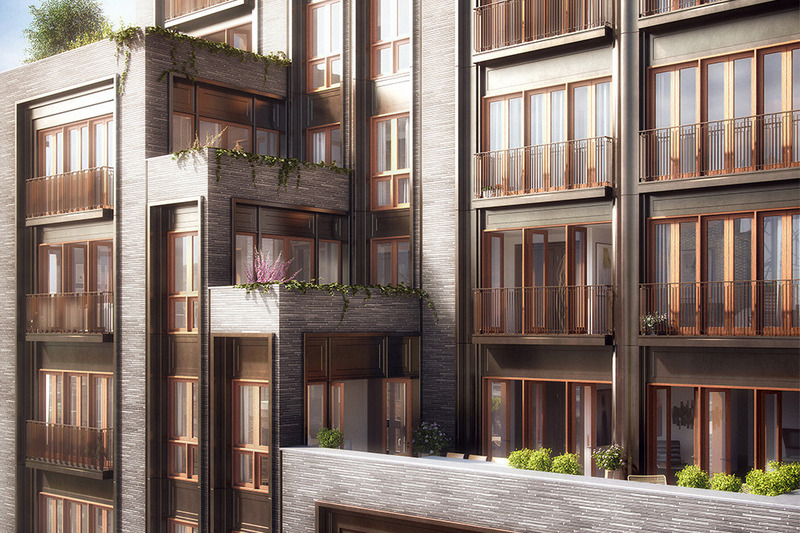 The exquisitely proportioned interiors have floor-to-ceiling glass French doors, trimmed in mahogany and opening to Juliet balconies with bronze custom ornamental railings. 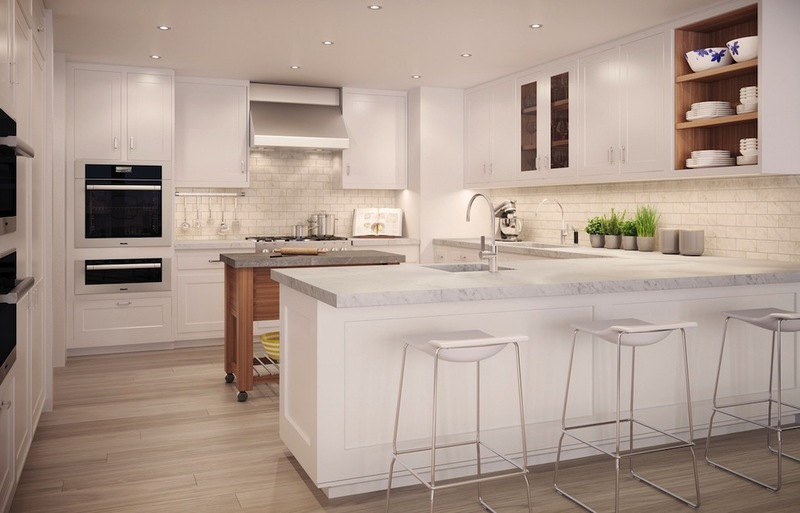 The sleek white kitchens are handmade in England by Smallbone of Devizes and handpainted on-site, allowing buyers to easily customize the color. The suite of Miele appliances includes a speed oven, steam oven, warming drawer, vented hood and wine refrigerator. Each master bath is wrapped in Dolomiti white marble, with intricate marble mosaic flooring, generous tub and separate shower. The powder rooms are graced by elegant lotus flower wall tiles, hand-carved in Carrara marble. The lobby is fitted with warm white oak wall panels, double-height vaulted ceiling and honed limestone floors. 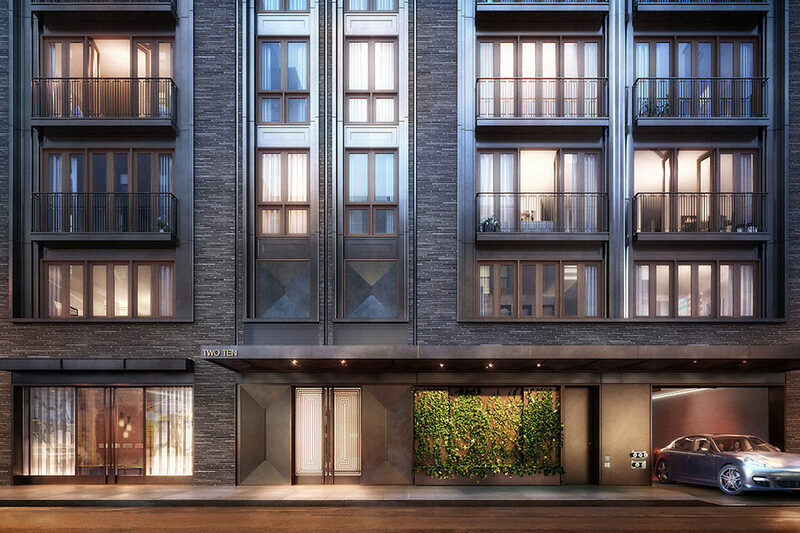 Amenities include a 24-hour doorman, concierge services, multi-purpose sports court that converts to a movie room, spa with cedar-lined sauna and two private steam rooms clad in marble slabs, gym and roof deck with panoramic views of Manhattan. Private parking is available for select residences. 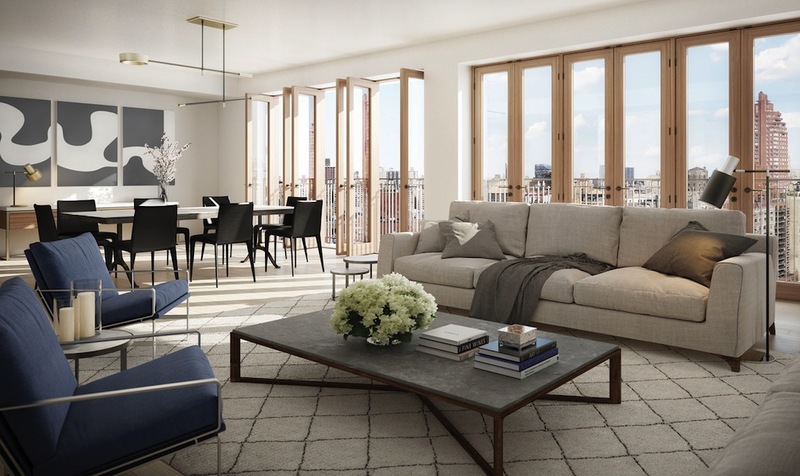 Pricing for available units ranges from $4.575 million for a 2,082-square-foot three-bedroom to $12 million for a 3,519-square-foot five-bedroom with 1,283 square feet of private exterior space. Stribling Marketing Associates is handling sales at the property.